Every schoolchild knows the events of 1066 but what happened next here in the North East? 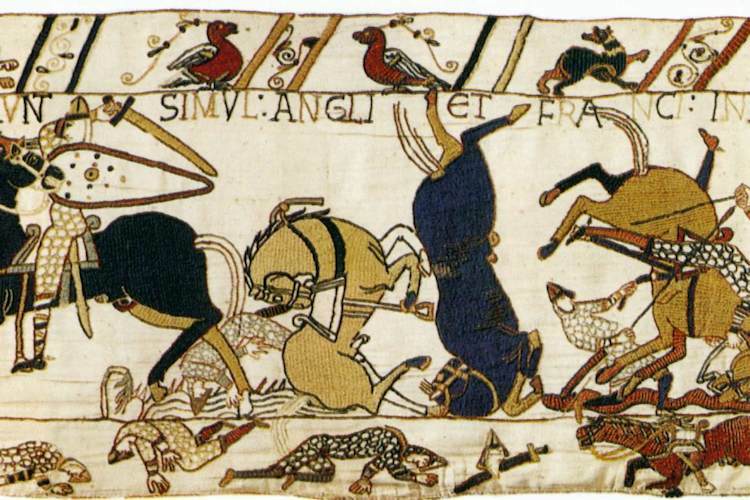 As the 950th anniversary of the Battle of Hastings approaches, ALEX ILES investigates. In Britain we are very good at taking snippets of history, short info bites, and creating a very good in depth study of them. One of the best examples I use is the school curriculum – creating in depth studies of snapshots of our history when we have a good ten to fifteen thousand years of currently well documented history on this Island! The Norman Invasion is like this. Stop anyone on the street and they can tell you the two main combatants – William Duke of Normandy (referred to as ‘The Conquer’ most of the time) and his rival Harold Godwinson – who should be called King Harold. Just from the names we can see how much of our history is shaped by the victors! The third element of the 1066 drama is the famous Scandinavian king Harald Hardrada (The Hard Ruler). Now, as much as the events of 1066 are fascinating I would like to tell you about what happened afterwards but before we do that, we have to look at the cause and effect of 1066. Most students can tell you that after Edward the Confessor died in 1066 Harold Godwinson rushes to London to be crowned, though he had promised, swearing on holy relics to support William’s claim. Harald Hardrada finds out and decides to follow in the steps of the mighty Cnute who was king of England, Scotland, Denmark, Norway and parts of Ireland and Sweden and unite his Kingdom of Norway with England again. William of Normandy flies into a rage at Harold Godwinson’s betrayal and starts building a navy. He attains Papal support for the invasion of England. Harald Hardrada invades Yorkshire and after defeating the Northumbrian forces –a half-hearted battle at York– he has the North of England swear allegiance to him and Harold Godwinson’s brother Totsig. Tostig wanted his old earldom back after being banished for rebelling against his brother; already the story looks like a soap opera! Harold Godwinson then marches north and defeats Hardrada at the battle of Stamford Bridge a few miles north east of York. He then hears that William has invaded and is building a castle at Hastings. Godwinson marches his army south, stays in London for a week and then makes his way to Hastings arriving on October 13th. Historians who favour the Saxons are bitter about this point – he would have won if he had fortified London and the nearby land and waited for William but instead he rushed to Hastings. When Harold joined the great battle on the 14th the English took the ridge and fought in their traditional shield wall. They would have won, had they not chased the Normans who had feigned retreat. 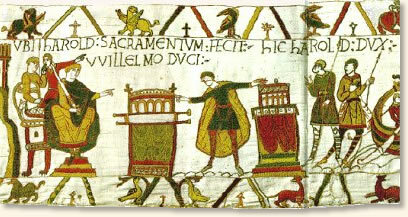 Harold and his Brothers died – cut down by Norman knights not by arrows to the eye – and William was victorious. What happens next is the interesting part for us. In schools it is all nice and clean. William is crowned King in London on Christmas day, the history book for the Anglo-Saxons is closed and the Norman dynasty is now ruling England. To the English, this would not have been the end of the world. The Northern English were very used to ‘foreign’ rule – with the Danelaw (in Yorkshire and the East Midlands) and connections to Scandinavia, north Germany and even the Baltic a common part of everyday life for the North East folk. King Edward the Confessor was half Norman himself and likely spoke Norman French as well as speaking Old English. William was seen as being king for his lifetime and then a likely English or noble dynasty would take over. The idea of hereditary kingship was not set in stone, kings’ sons could be king after them but they needed to have powerful allies and prove their worth to do so. To the Anglo-Saxon English therefore William was just another invader who had to prove his worth. Because of this the England revolted from 1067-1068. Backed by Scots, Danes and Anglo-Saxons. Danes and Irish who were hiding in Scotland and Ireland invaded The North East, Devon rose in the South West. Following this in 1069, King William placed Robert De Comines as the Norman Earl of Northumberland. He was staying in Durham when his Norman knights pushed the Local Anglo-Saxons too hard and committed crimes against the local populous. The Anglo-Saxons told him that he was sitting on a tinder box, but he did not listen. 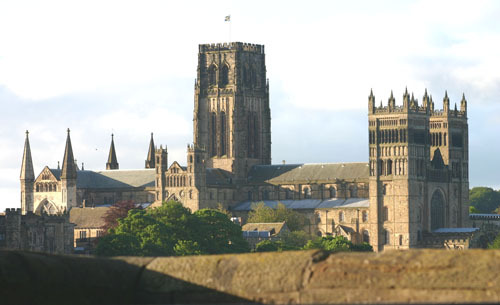 The population of Durham rose and seven hundred Normans were killed including Robert – many burnt to death inside the houses in which they were staying. William, in retaliation committed genocide – harrying the North, killing civilians in Yorkshire and County Durham and salting the land. The North East then quietened for a while. William then placed Bishop Walcher as Prince Bishop of Northumberland and Durham. Walcher worked hard to deal with his rebellious population, appointing Ligulf a descendant of the kings of Northumbria as his adviser. This worked well until 1079 when King Malcom III of Scotland attacked Northumberland, killing, burning and enslaving. Because of this, Ligulf openly criticised the bishop for failing to protect the North East from Scots attack. This resulted in an open feud between Ligulf and Bishop Walcher’s relation Gilbert. Ligulf’s house at Newburn was attacked by Gilbert during the night and murdered him and the majority of his family. Ligulf’s remaining relations made their way to a peace conference in Gateshead with Walcher and demanded that Gilbert be handed over to face justice for murder. Walcher stated he could not hand over a member of his family and the meeting broke down. 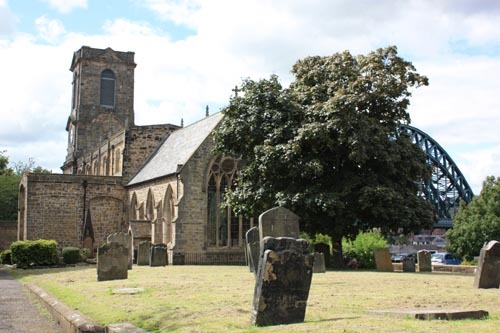 Because it was on holy land the Anglo-Saxons could not attack directly but as Walcher, Gilbert and their hundred Norman nights had dinner, the church in Gateshead was set fire to. The Normans fled from the burning building and were ambushed by the Anglo-Saxons resulting in the death of Walcher, Gilbert and the majority of their entourage. King William once more returned to Northumberland and ravaged this time, from the Tyne to the Scots border. This therefore resulted in the harrowing being an unspoken part of the North East’s History. Some scholars state that a total of one hundred thousand people died in the ‘Harrowing’, though the number may be far less, it still had a large impact on the North East with many villages being abandoned or massacred. In all it shows you why the Normans were such a force in England and why the Norman and Plantagenet Dynasties were established in England ruling over the Anglo-Saxon and Anglo-Danish population. William was truly a conqueror and ruled by the Sword.